Delays, cancellations and overcrowding – the railways are going through a particularly bad patch just as the Christmas rush is building up. 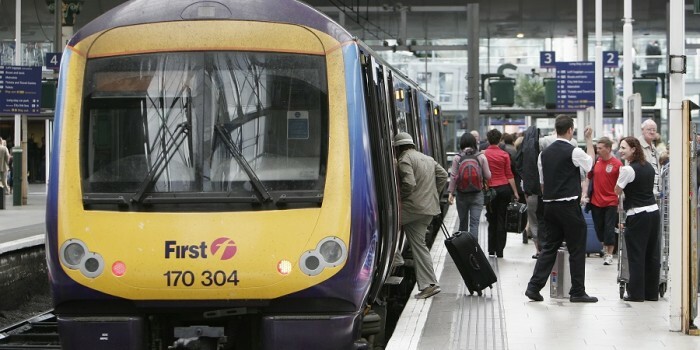 Chris Grayling, the Transport Secretary, announced plans to improve the railways with ‘passengers at the heart of the service’ but these were quickly dismissed by critics as doing nothing to address the fundamental problems affecting the network. The best railways in the world are those in Japan and Switzerland which combine very heavy use with amazing punctuality and high frequency. How do they do it? They have large railway companies which are in charge of all aspects of the railway, from maintaining the tracks and signalling to running the trains. That enables managers to operate services and plan investment with a long term perspective that ensures future demand is met. Contrast that with the mess we have in the UK. The tracks and signalling are run by Network Rail, a state owned company, while the operations are in the hands of a couple of dozen private operators such as Stagecoach and Arriva, many of which, strangely, are subsidiaries of foreign state railways such as French SNCF and German DB. Just to make things more complicated, the trains themselves are owned by three private leasing companies and the major maintenance work, known in the business as ‘renewal’, is carried out by engineering firms. This makes for confusion, inefficiency and the waste of millions of pounds of taxpayers’ money. To give one example, when lines are closed at weekend to make improvements to the track, Network Rail has to pay millions in compensation to the train operators. Yet, the work is being carried out for those companies’ benefit so that they can provide a more reliable and faster service. It is as if your kitchen fitter had to pay you for your inability to prepare meals for a couple of days while they install your new cooker. There’s no end to these nonsenses on Britain’s railway today, frustrating passengers and pushing up the bill for taxpayers who pay over £4bn per year to subsidise the service. The high cost of maintaining and renewing the railway is also down to this ridiculous split between operations and infrastructure. This is why rail fares have risen well above inflation for more than a decade. With roads increasingly congested and more and more young people not bothering learn to drive because of the high cost of insurance, the railways are effectively exploiting a monopoly. Many people have no choice but to take the train and pay the high fares. The chaos and enduring industrial dispute on Southern rail can also be put down to the lack of a overall fat controller to run railways. The strikes have been caused by unions resisting the Department for Transport’s requirement to remove guards on from the trains, and exacerbated by the private operator, Govia, going about the task in a ham-fisted way. Contrast this with the way that guards were removed on the London Overground lines, run by Transport for London, where negotiations were successfully carried out with just one token day of strikes. If there were one company in charge, without interference from the Department, it would be far easier to sort out such disputes. It is, in short, no way to run a railway. Grayling actually knows that the solution is to bring back together the services and the infrastructure to create one unified railway. He actually announced on Tuesday that he would like to see the private companies and the publicly owned Network Rail work much more closely together. A couple of new franchises would be run by ‘alliances’, he said, but this falls far short of what is needed. Because of the Tory legislation that privatised the railways in the mid 1990s, Grayling can’t bring the two aspects of the railway, the services and the infrastructure, together in the way he would like. It would need a new Act of Parliament and there simply is not the Parliamentary time, nor the political will, to do this. Grayling says that change needs to be ‘evolution rather than revolution’ but he is wrong. Railways have traditionally functioned as a single entity and they work much better in an integrated way, and the present mess requires a radical rethink. The whole system of franchises and contracting out is wrong-headed and needs to be scrapped. This is not about renationalisation. A new integrated rail company could be either owned privately, as in Japan, or publicly, as in Switzerland but the key point is that it would be responsible for all aspects of running the train service. Until this happens, passengers will continue being bombarded with announcements from train operators blaming delays on Network Rail, effectively saying ‘it’s nothing to do with us, guv’. The solution is in the government’s hands, but it will take a braver minister than hapless Chris Grayling to bring it about.